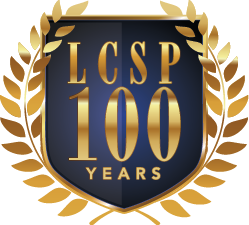 The London & Counties Society of Physiologists was founded in 1919 and is the oldest-established and largest organisation of private practitioners of remedial massage and manipulative therapy in the U.K. At the present time it represents practitioners and students of these therapies. For very many years now the Society has published an annual Membership Register and also a Directory of Practitioner Members. This lists the names and addresses of therapists within the British Isles (and certain overseas Countries) who provide treatment by remedial massage, manipulative therapy, sports therapy and allied therapies. The Directory is available to Libraries, Citizens’ Advice Bureaus, Career Offices and the like, and to the press and media. A copy of the Directory will gladly be supplied free of charge to any member of the public on request. During a survey of the Society’s practising remedial masseurs and manipulative therapists carried out some years ago it emerged that in one particular year our Members were consulted by nearly half a million patients who received over one million treatments. Although no similar survey has been carried out recently it may be confidently estimated that such figures would have risen significantly in the light of the rise in acceptance and popularity of CAM therapies and the increased activity of members engaged in these therapies in recent years. The role of our members continues to change both quantitatively and qualitatively. Longevity has improved as a result of modern medical research and better standards of living. In consequence there is an increase in the incidence of degenerative diseases such as osteo-arthrosis and other disorders of the arthritic range. Enforced leisure caused by economic factors and enhanced leisure activity resulting from commercial and industrial development means a greater incidence of sports-related injuries. There will be 2 special guest lecturers each day, these speakers are David Baker (HCPC, MCSP, PG Cert Musculoskeletal Sonography), John Sharkey MSc, Richard Hughes BSc (hons) MCSP HCPC and Jan Pickering along with medical exhibitors and there will be Centenary Gala Dinner Dance on the Saturday evening. The cost for this event for members is £230 and £275 for non members, that includes both days’ lectures, unlimited tea and coffee, lunch on both days and the Gala Dinner Dance. David qualified as a physiotherapist in 1999. Having specialised in musculoskeletal care David developed an interest in pharmacology and analgesia whilst working in a busy A&E department and a chronic pain clinic. Competency Framework used by all prescribing professions in UK. David is one of the first physiotherapists to qualify as an independent prescriber and to use his prescribing skills both in the NHS and in private practice. 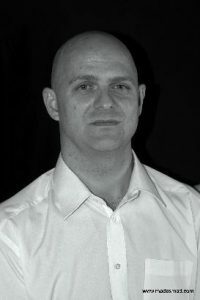 David is clinical director of Complete Physio Ltd, a chain of multidisciplinary MSK clinics in the centre of London. David is vice-chairman of ACPOMIT, and also has a specialist interest in ultrasound guided injections, being one of the few physiotherapists in the country to also be dual qualified as an MSK sonographer. David will be covering the medico-legal framework relating to advising patients on the use of pain control medication. He will focus upon ‘over the counter’ analgesics and how these can be used safely to optimise pain relief in musculoskeletal conditions. We are delighted to welcome David to come and lecture, his credentials and experience are impressive. Fozzy himself has previously attended one of David’s presentations and found it so very useful on a daily basis in clinic. 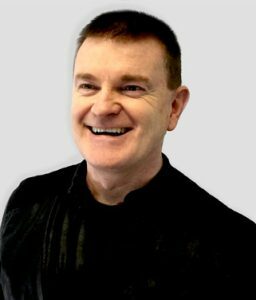 John Sharkey is an international educator, author and authority in the areas of clinical anatomy, exercise science, human movement and the manual treatment of chronic pain. He is a graduate of the University of Dundee, University of Liverpool and University of Chester. He completed undergraduate and post-graduate studies in the areas of exercise physiology, clinical anatomy and holds a post-graduate certificate in education. 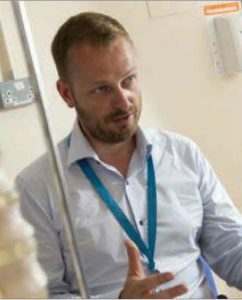 He is currently a senior lecturer within the Faculty of Medicine, Dentistry and Life Sciences, University of Chester/NTC, Dublin and is the programme leader of the Biotensegrity focused Thiel soft fix cadaver dissection courses department of anatomy and human identification, Dundee University, Scotland. I graduated in 1998 with a 1st Class Degree in Physiotherapy from Keele University. Prior to graduating I enjoyed a successful cycling career which included winning numerous British Championships, competing in the Commonwealth Games in 1990 & 1994 and the World Championships in 1988, 1989 & 1991. My cycling career was cut short through a back injury and subsequent surgery. This in turn led to a career focus on complex spinal dysfunction. I have worked as a Spinal ESP in the NHS, although I now work solely in Private Practice, where I treat a wide range of patients. My focus of treatment is restoration of function, I utilize myofascial release, instrument assisted soft tissue therapy, manipulative therapy, K-taping and rehab. I still have a special interest in cycling and have developed a dynamic Bikefit service. I have also helped to develop and provide Physiotherapy support to the British Superbike Championship over the last 10 years, which is where I first became familiar with Kinesio tape. I underwent training at K-Tape headquarters in Germany and have many years experience in its application and effects. The course content will follow the classic K-Tape structure, the focus is on what you do with the tape. We will cover the different application techniques, and there will be the opportunity to request specific applications for specific conditions. The course is focussed on the practical elements so be prepared to tape and get taped! Jan has been teaching Pilates since 2007 when she trained with Modern Pilates, which takes a clinical approach to Pilates. She was delighted to be asked to work one-to-one with clients at the Foster Clinic in Gorleston and has loved seeing the impact that Pilates has had on their lives; they develop strength, body awareness and confidence whilst learning how to move with ease. Outside the clinic, Jan teaches group matwork classes and one-to-one Reformer sessions, having gained STOTT Pilates Certified status in 2017. She is also a teacher in Further Education, delivering teacher training at East Coast College in Great Yarmouth and teaching on the Foundation degree in Sport Health and Exercise, University of Suffolk. 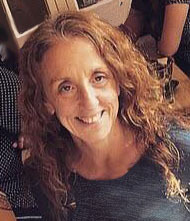 Jan continuously updates knowledge to be able to better support clients’ needs by regularly attending further training; most recently having completed training in Pilates for Pelvic floor health (2017), spinal conditions (2018) and scoliosis (2018).